I wasted my entire morning today. I’m not one to blame others for my shortcomings, but this time it was totally not my fault. There was a free contest. There was a “prize” at stake. I spent my morning trying to win said contest and this unknown prize. Apparently to get me motivated you throw out the proverbial carrot and replace it with a question marked box. Substantial prize with poor odds, but only requires minimal effort to enter. Insubstantial prize with decent odds of winning that requires… well I don’t care about the effort, I’m going to win it!! I’m not alone here am I? Secretly, do you choose what events to run based on the swag? Sometimes I do. I’m a sucker for good graphic design. I love goodie bags. There was one goodie bag a while back that contained mostly tampons. They didn’t even have the race logo on them. At least the shirt was cool. …I told you that the fact that at many ultra marathons they award custom belt buckles to the finishers isn’t a contributing factor in me wanting to run one. I’m not sure when I decided that belt buckles were cool. In high school I ridiculed the farmers and country crowd. I was a jerk. I spent a year in Colorado working at a ranch (okay it was really a camp) in the Rockies at 6,000 ft. I learned to two-step and ride horses. 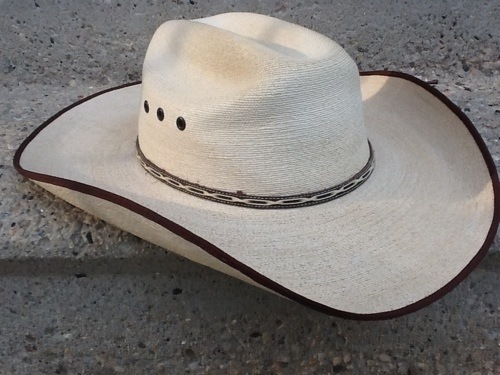 I bought a cowboy hat vowing to wear it when I returned to my home in the midwest. I chickened out. In Colorado Springs the streets are filled with cowboy hats ranging freely. Here in Wisconsin we lock them in our closets and only bring them out at concerts. I don’t really like country music, so my hat never sees the sun. Maybe that’s why a belt buckle appeals to me so much. No one needs to know I’m wearing it and I can still be my ropin’ and wranglin’ self. The movie “Brokeback Mountain” did nothing to help bring my closet cowboy to the light. See, I’ll pose with a tampon, but I’m afraid to be seen in Wisconsin with a cowboy hat. Something is seriously wrong with me. Reasonable rates! Will work for unknown prizes of menial value! Now that I’m an adult with my own photography business you’d think I’d have a good grasp of the time value of money, but this morning proves yet again that I don’t. I think if I’d have won said contest I’d have made 2 dollars an hour, BUT I didn’t win. I’m not even good at stupid. 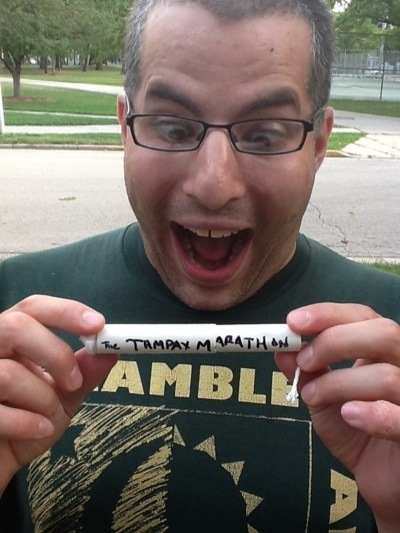 Todd, if the tampon had the race name on it I probably would have kept it. I still even have a hard time typing, let alone thinking the word ‘tampon’ without getting a little weirded out so maybe not. Pod/vodcasts are coming. At least podcasts. They seem the thing to do these days and I think I’d be good at them, but I’m scared and lazy. Keep bugging me aobut it please. & help different customers like its aided me. I抎 have to examine with you here. Which isn’t something I often do! I get pleasure from reading a submit that can make folks think. Additionally, thanks for permitting me to comment!